The final performance of the Denver Chute-Out will start at 7 p.m. tonight. DENVER — Jess Lockwood made a big statement at the National Western Stock Show's Professional Bull Riders Denver Chute-Out on Tuesday night. 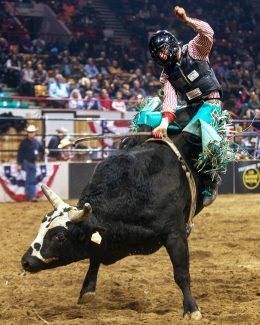 The Volborg, Mont., resident and 2017 PBR world champion rode a bull named Hooky owned by Cervi Championship Rodeo for 89.5 points to win the first round of competition in the Denver Coliseum. That was a full second higher than Derek Kolbaba's ride on Monday night. Kolbaba's score of 88.5 points gave him a third-place finish in the first round. Also moving ahead of Kolbaba on Tuesday night was Brazilian Danilo Carlos Sobrinho who rode Bland Bucking Bulls' Bad Decisions for 89 points. All of these men, along with 27 other bull riders will make their second appearance at the Denver Chute-Out on Wednesday. 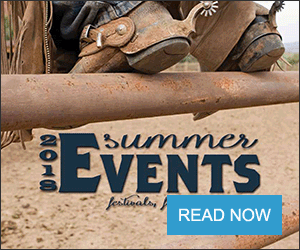 The event is a major stop on the PBR's Velocity Tour where bull riders are riding for big checks as well as points to move them up the bull rider ranks into the Unleash The Beast Tour which is the highest level of achievement in the sport. The Denver Chute-Out will finish up on Wednesday with the semifinals with the 30 best bull riders from Monday and Tuesday night's competition. Their first round and semifinal scores will be added together with the top 15 competing in the Championship Finals for the Denver title. There are two former winners in the mix, Kolbaba who won here in 2016 and Stormy Wing who was the champion in 2014. Also competing on Wednesday night will be two former world champions, Jess Lockwood and Silvano Alves who has gotten the buckle for being the best on three occasions. The final performance of the Denver Chute-Out will start at 7 p.m. The following are first round winners and semifinals qualifiers at the PBR Denver Chute-Out at the National Western Stock Show. First round winners: 1, Jess Lockwood, Volborg, Mont., 89.5 points on Bland Bucking Bulls' Bad Decisions, $3,041. 2, Danilo Carlos Sobrinho, Sao Paulo, Brazil, 89, $2,281. 3, Derek Kolbaba, Walla Walla, Washington, 88.5, $1,521. 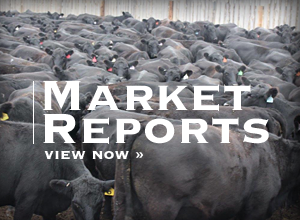 4, (tie) Stormy Wing, Dalhart, Texas, and Chase Robbins, Marsing, Idaho, 87 and $380 each. 6, (tie) Jordan Hansen, Okotoks, Alberta; and Paulo Ferreira Lima, Pernambuco, Brazil, 86.5. 8, Koal Livingston, Burleson, Texas, 86. 9, Brady Sims, Holt, Mo., 85.5. 10, (tie) Scottie Knapp, Edgewood, N.M.; Travis Briscoe, Edgewood, N.M.; Dylan Smith, Ararat, Va.; 85. 13, Jake Lockwood, Volborg, Mont., 84.5. 14, Kurt Shephard, Atherton, Queensland, Australia, 84. 15, Silvano, Alves, Sao Paulo, Brazil, 83. 16, Juan Carlos Contreras, Hidalgo, Mexico, 82.5. 17, (tie) Daniel Tinsman, Farmland, Ind. ; and Tye Chandler, Celina, Texas; Josh Frost, Randlett, Utah; 82. 20, Ryan Prophet, Rigby, Idaho, 81.5. 21, (tie) Jared Parsonage, Maple Creek, Saskatchewan, and Nathan Burtenshaw, Coonamble, New South Wales, Australia, 81. 23, (tie) Joe Frost, Randlett, Utah; Cody Nance, Paris, Tenn.; and Luis Blanco, Sao Paulo, Brazil; 80.5. 26, Keyshawn Whitehorse, McCracken Springs, Utah, 80. 27, Jake Gowdy, Bristow, Okla., 79. 28, Dalan Duncan, Ducheshe, Utah, 78. (last two advanced based on time ridden) 29, Lonnie West, Cadogan, Alberta and João Ricardo Vieira, Sao Paulo, Brazil.